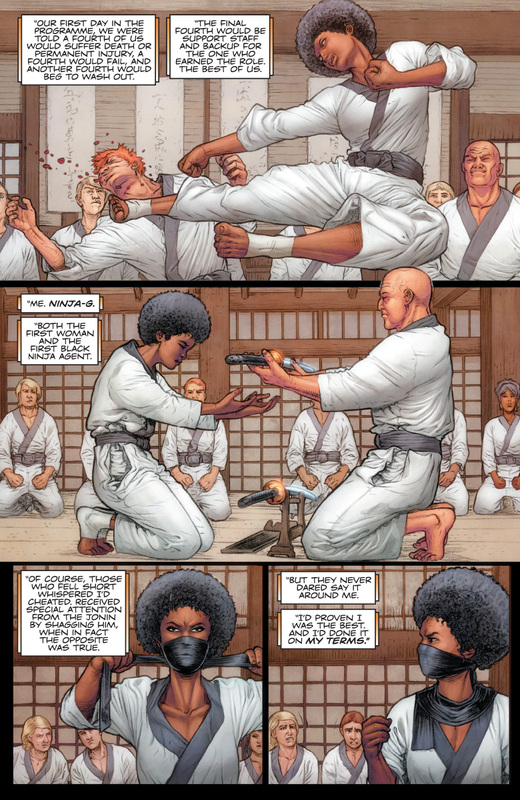 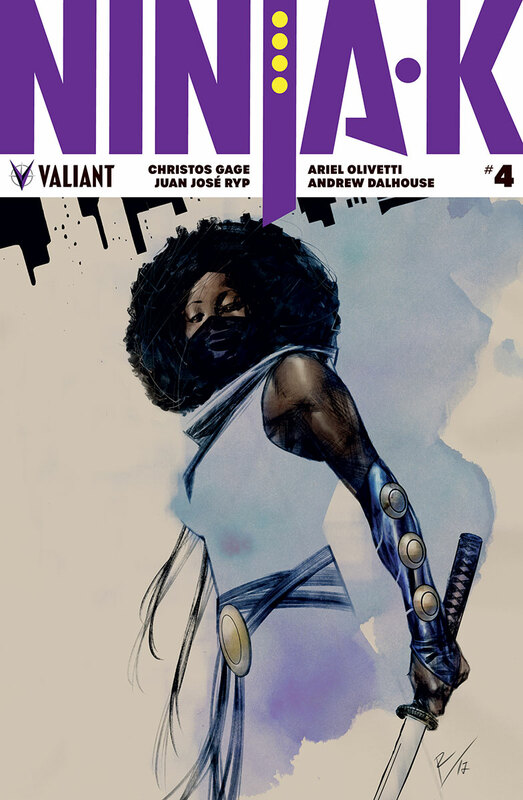 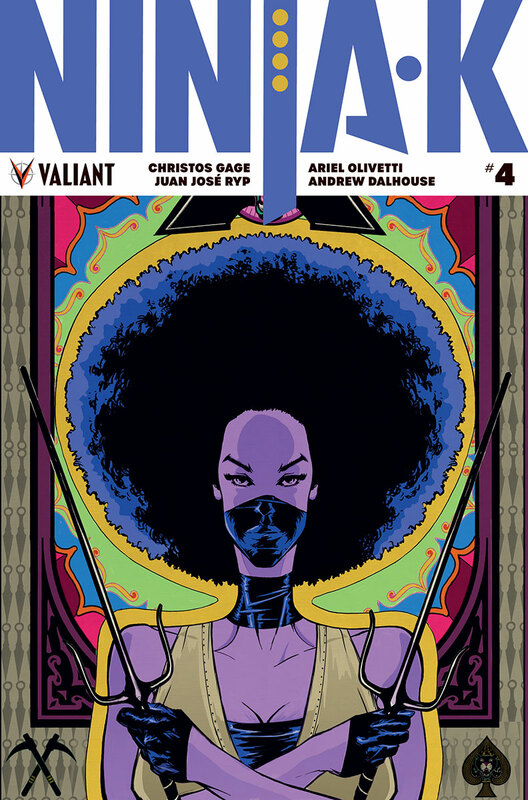 Valiant is proud to present your first lettered look inside NINJA-K #4 – A STAGGERING, 40-PAGE JUMPING-ON POINT for the EXPLOSIVE NEW ONGOING SERIES from acclaimed writer Christos Gage (Netflix’s Daredevil) and red-hot artist Juan José Ryp (BRITANNIA)! 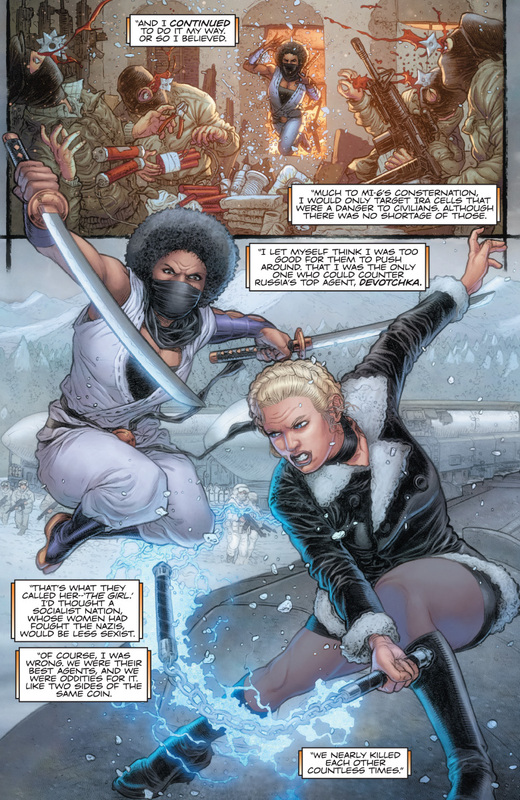 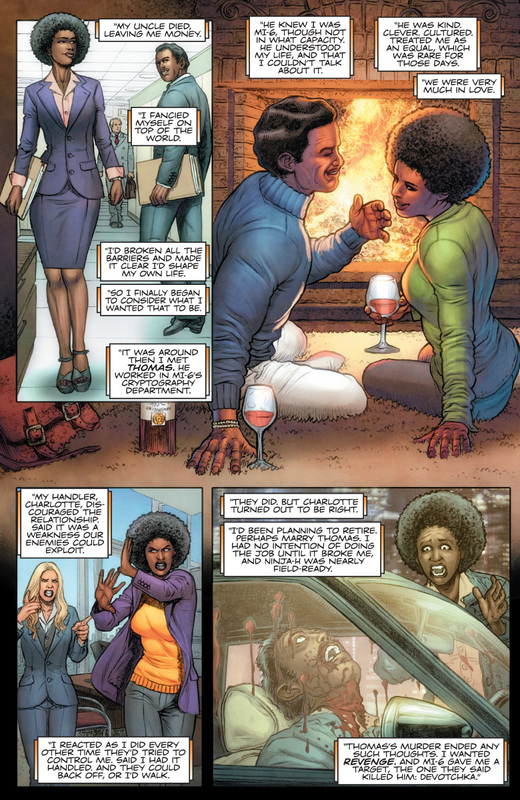 On February 14th, learn the hidden history of the Ninja Programme’s disco-era operative – NINJA-G – as she navigates a treacherous terrain full of Cold War espionage and even colder adversaries…who just might still be waiting to shatter Colin King’s world from the shadows today! 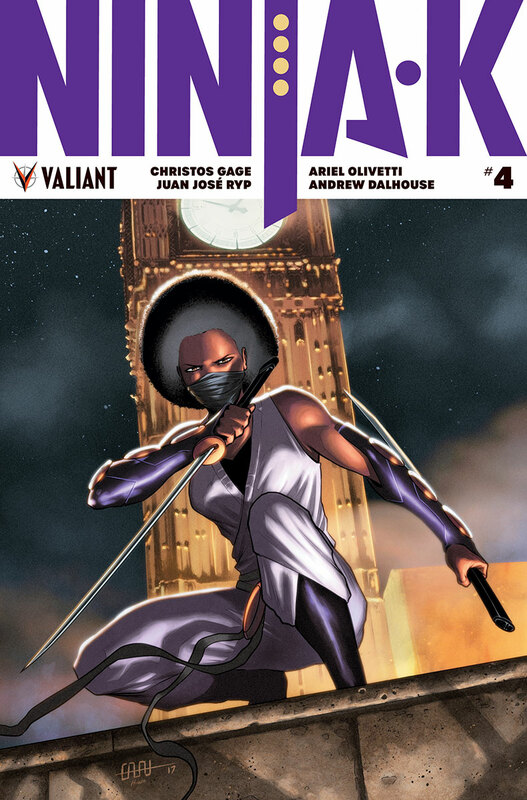 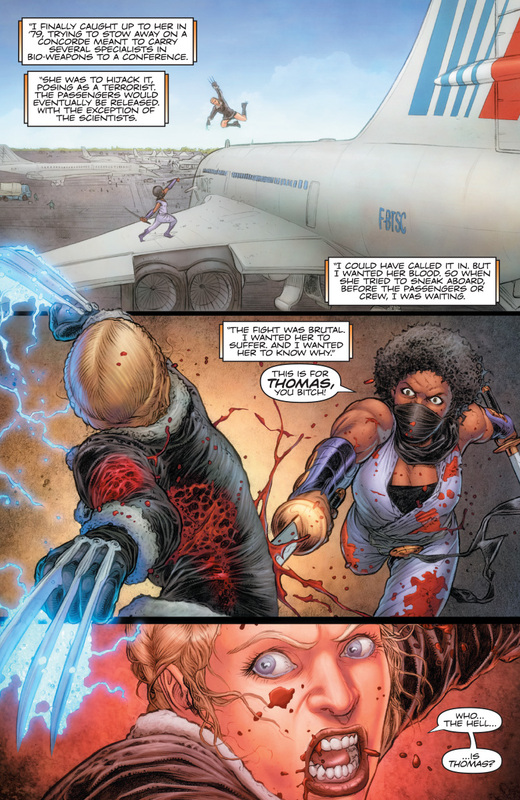 Plus: Continuing in NINJA-K #4, Valiant’s ninja mastermind Christos Gage joins forces with comics veteran Ariel Olivetti (Incredible Hulk) for the next harrowing chapter of an essential back-up feature chronicling the origin of Britain’s secret weapon of World War I… The mysterious NINJA-A!